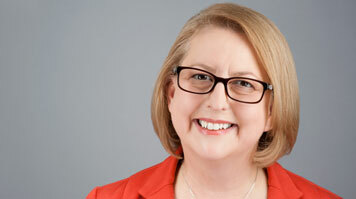 London South Bank University (LSBU) is proud to announce that Professor Alison Leary, Chair of Healthcare and Workforce Modelling at LSBU, has been awarded a Royal College of Nursing (RCN) Fellowship. The Royal College of Nursing Fellowship is the highest award the RCN can bestow and are awarded to RCN members who have made an exceptional contribution to nursing and/or health care. Alison was commended for being a highly effective leader and a role model for senior nurses. Commenting on the work for which she was nominated, Alison said: "I am thrilled to receive this award and feel extremely privileged as there are so many people out there doing such great work." In 2014 Alison was named on the Nursing Times Leaders list and also named as one of the Health Service Journal's Inspirational Women in healthcare. "One of the things I love about my current work is learning about the wonderful and innovative things nurses are doing. Nurses are such a creative group of people and I feel it's an honour to help them show the value of their work and benefits to patients and families," Alison added. Alison is currently carrying out research – funded by NHS England – into the impact of inpatient acute nurse staffing on patient outcomes. With a strong interest in specialist and advanced practice, Alison shares her expertise by regularly writing on healthcare issues and is the editor of Europe's best-selling lung cancer textbook. After spending ten years in biomedical science and biomedical engineering within the NHS, Alison undertook a nursing diploma at The Nightingale School at St Thomas Hospital (now Kings College London). She attained a Masters in Biomedical Science (Haematology) before specialising in lung cancer and thoracic surgery. Alison later obtained a PhD in medicine from University College London in thoracic oncology and continues to research in this area. Her work also includes undertaking various projects around the modelling of complex systems.